CLOSEOUTS. 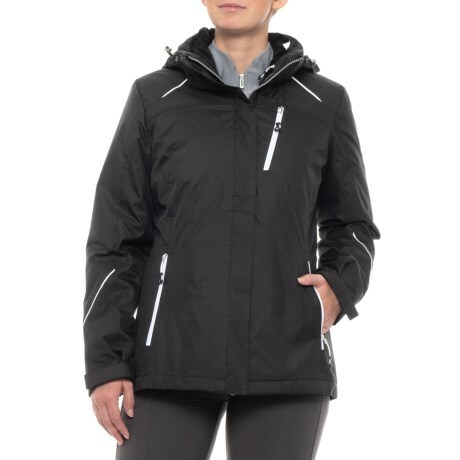 ZeroXposurand#39;s Allie System jacket provides extra warmth and weather protection with its insulated, 3-in-1 design. Available Colors: BLACK/WHITE, SUGAR PLUM, GREY CORK. Sizes: S, M, L, XL.